Who drew the short straw in the Rugby World Cup 2019 fixtures? How fair are the RWC 2019 fixtures? The Rugby World Cup 2019 fixtures sees the host nation have the best draw of the 20 competing teams. With an average of 6.7 days between their games, Japan will have a time span of 22 days from their first game to their last. If they don’t qualify out of their pool at the Rugby World Cup 2019, Japan certainly can’t blame the playing schedule. In comparison, Samoa, also in Pool A with Japan, have one of the worst draws in the Rugby World Cup 2019 fixtures. With an average of 5 days between games, Samoa have 17 days in which to complete their four matches. Other teams with the best playing schedules are Ireland (6.3 days between games; time span of 19 days); and France, Namibia, New Zealand, Scotland and Tonga (all with 6 days between games; time span of 20 days). 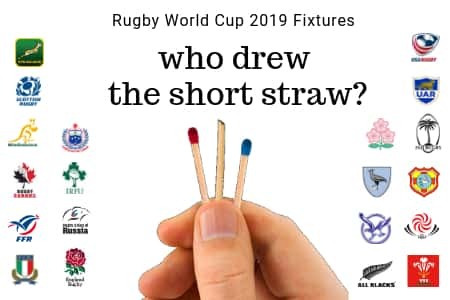 Other than Samoa, the teams that drew the shortest straws in the RWC 2019 fixtures were Canada, United States and New Zealand’s main Pool B rivals, South Africa – all of whom have an average of 4.7 days between matches and complete their games in only 16 days). Rugby is a tough sport and rest and recovery are essential. So the more rest you have between games, the better you are likely to perform next time around. In a tournament, then, a good draw can mean the difference between winning the pool or finishing second. Or between qualifying for the quarterfinals or not. Which pool works out best? Pool D seems to be the fairest, with all the teams having roughly the same schedule. But the other pools are not so well balanced. In Pool B, South Africa seem to be at a disadvantage compared with toughest rivals, New Zealand. Pool C is not bad for four of the teams but the USA may well feel pretty aggrieved. However, Samoa in Pool A seem to be treated the most harshly. All their main rivals have much better schedules, with at least one day more of rest between matches. In such a tight pool, as Pool A is, that could make all the difference. The problem and how to fix it, as argued in the previous Rugby Union World Cup 2019 article, has a very simple solution: give the worst schedules to the strongest teams. They have the resources and squad depth to handle the tough programs. 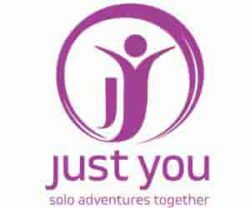 Or better still, work towards having groups of four. Then all teams can have similar playing schedules and all will be fairer in the world and in the World Cup. For information on who’s playing who where and when, refer to the Rugby World Cup 2019 Schedule page. Well I reckon it’s a PR thing. We all know there’s no way Japan will win the Cup. But it’s important to get the whole country behind the Japan Rugby World Cup 2019 tournament. So they want to make sure Japan has every chance to play throughout the duration the tournament. 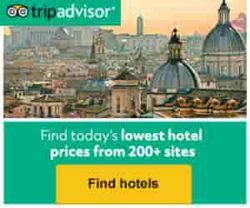 I got to know about the Rugby World Cup 2019 Fixtures by reading your article. I think the worst schedule should not be given to the worst players so that everyone will find it more interesting. That’s why we recommend the shortest straw for heavy hitters like the All Blacks. They can play their reserves throughout the RWC 2019 fixtures and leave their A squad fresh for their inevitable appearance at the Rugby World Cup final. Who are you hoping to come out victorious in this year RWC? Although I did come across the fixtures on supersport some moments ago but this was still very helpful you’re right in terms of rest it’s very essential if this athletes want to be on their best in the RWC. I’m actually hoping for a new winner! Maybe France (always a wild card), Ireland (on great form at the moment), and Wales (have been unbeaten for 11 games straight – quite a run). Would also be good to see Eddie Jones win a world cup. So let’s hope the England Six Nations run preps them well for the world cup. He has been a very innovative coach over a long time. The minnows usually get the worst draw. Good to see that some big teams get it this time, like South africa. But still not a fair system. These are averages, so who has the shortest breaks? Scotland, Argentina, USA, France, New Zealand, South Africa, Wales, Georgia, Uruguay, Fiji. Of course, short breaks don’t really affect a team like the All Blacks. Against most opponents, they can put all their reserves, even their bagman, and still win. And they get a 10 day break also. They can go on a holiday and be back to play Canada. Three days later, they place Namibia. They can put their bagman, waterboy, and old manager in that game and they’ll still come out on top.